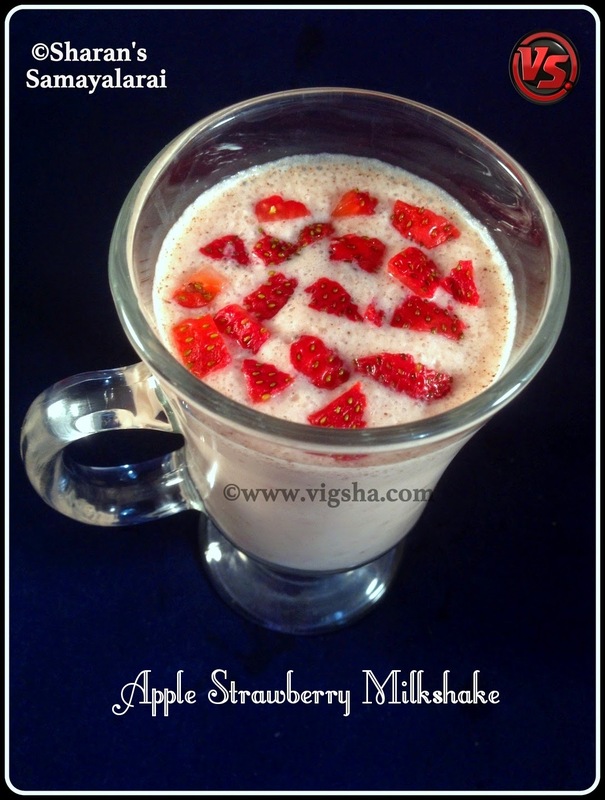 Apple Strawberry Milkshake is the perfect treat that manages to capture all the deliciousness of juicy apples with tangy taste of strawberries. 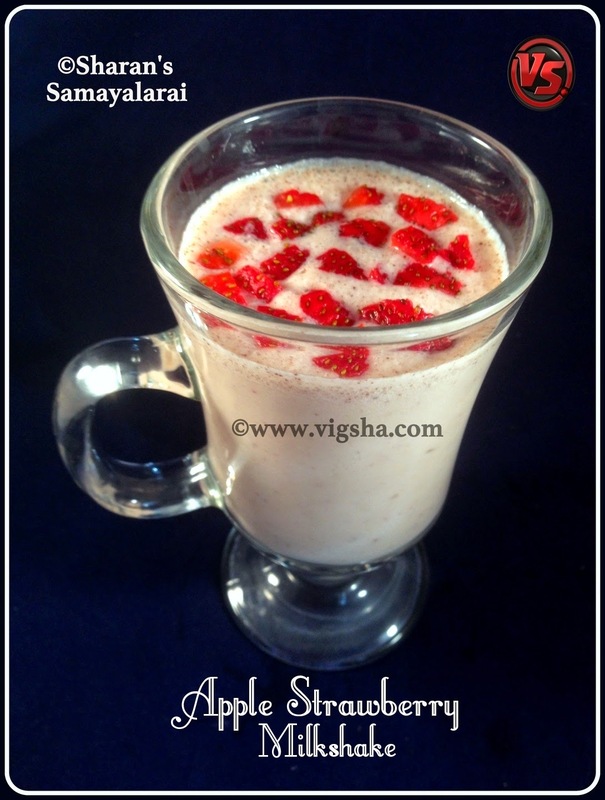 Check out other Milkshake Recipes which I have already psoted :- Strawberry Kiwi Milkshake, Avocado Milkshake, Banana Dates Milkshake, Strawberry Milkshake, Avocado Dates Milkshake, Peach Milkshake. Wash Apple and Strawberries properly before using. Mix apple-cider vinegar with water. Spray this misture on apple and leave it for 5minutes and rinse well. Click here to know :- How to keep Strawberries fresh. Cut the fruits in medium size pieces. Place ice cream, chopped fruits into blender and blend until smooth. Pour into a tall glass and top with chopped strawberries, if desired. Slurp up all those yummy flavors! Enjoy !